Nikon has further expanded its Coolpix family of digital cameras with another model – we’re talking about the S8100 which will come with a 12.1-megapixel backside illumination CMOS sensor that will deliver enhanced performance and outstanding image quality for high-speed shooting and low-light conditions to its owner. 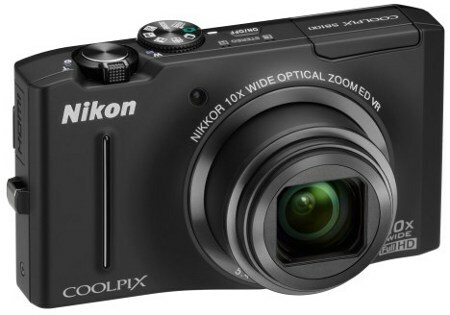 Not only is it fast, responsive and versatile, the Coolpix S8100 will also sport an incredible 10X zoom which is more than capable of shooting fast-moving subjects in still images as well as HD (1080p) movies. High-speed shooting at five full resolution frames at up to 10 frames-per-second (fps), coupled with a pre-shooting cache that records up to two shots before the shutter-release is fully pressed lets you capture all the fast moving action without missing a single moment. Of course, those who deal with even faster subjects can always track them down with the S8100’s Sports Continuous mode as it is capable of recording up to approximately 120 fps – letting you capture the moment confidently without batting an eyelid, all from a non-DSLR or Micro Four Thirds camera. Nikon has also thrown in their exclusive EXPEED C2 image processing engine which was specially customized to each Coolpix model in order to further drive enhanced performance, outstanding image quality and HD video. Features of the S8100 include a 10x Optical Zoom-NIKKOR ED glass lens (30-300mm, 35mm equivalent) that lets you get up close and personal to the action even if you’re recording your memories in full HD resolution. Fancy producing your own home movies? The Coolpix S8100 can do so thanks to its one-touch recording, optical zoom and stereo sound recording alongside a new editing function. Do you deal with low light conditions aplenty? While compact digital cameras find it difficult to master such environments, the S8100 is better than the rest thanks to its 12.1-megapixel backside illumination CMOS sensor and advanced Night Portrait mode, making it capable of reproducing night scenes and indoor portraits as intended without too much image blur. Out later this month, the Coolpix S8100 will retail for a surprisingly affordable $299.95, coming in black, red and gold colors.